Looking to plan a hassle free and embalming summer holiday in 2019 in India? Our selection of meticulously handpicked places to go for summer holidays in India along with recommended summer tour packages have been assembled to offer you the widest choice of exotic, cool and sun soaked locales across India. From the mighty Himalayan peaks, pristine North East to the tropical beaches of the Andamans and Lakshadweep or even the Nilgiris - inscribed by UNESCO as World Heritage Site, there is no dearth of options when it comes to choosing summer holiday destinations in India. Add to this some of the renowned luxury hotels in Himalayas with award winning spa centers, summer holidays in India gets a lot more emotionally, mentally and spiritually uplifting affair. Find comprehensive information on some of the most blissful and mesmerizing places to visit in India in summer to plan your holiday. 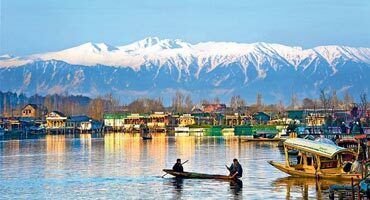 Or save time and head straight to our collection of summer tour packages in India with destinations as spectacular as Ladakh, mesmerizing as Himachal, pristine as Andaman or culturally rich as the North East. Or browse through our list of the best summer destinations in India, featuring cool hill stations, pristine beaches and rejuvenating Ayurveda resorts. For those who are planning a summer vacation in India, here are some amazing options for holiday destinations during the hot months. 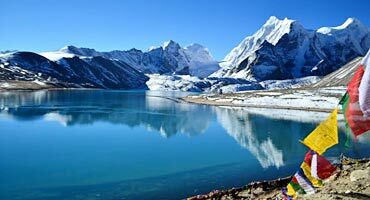 The Abode of the Himalayas is India's favorite summer destination and home to 100+ hill stations in India. Pine forests and apple orchards further add to its appeal. The seemingly photoshopped Buddhist ex-kingdom is home to gompas flanked by whitewashed stupas. Ladakh's cold desert is nature's boon and bane to the Himalayas. 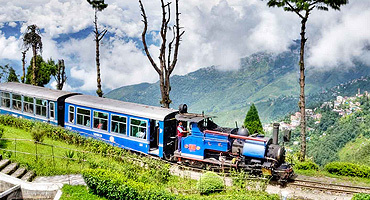 The real "Queen of the Hills" in West Bengal is also home to the Daarjeeling Himalayan Railway, a UNESCO World Heritage Site, Daarjeeling is every bit the quintessential summer getaway. 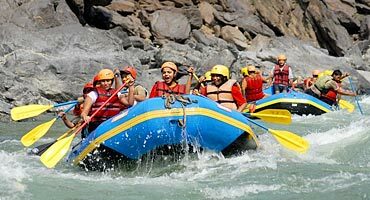 From Yoga classes to rafting and wildlife stays to humbling pilgrimages – there's something for everyone in Uttarakhand. A particular favorite with foreigners. "God's Own Country" is a true revelation in summers. 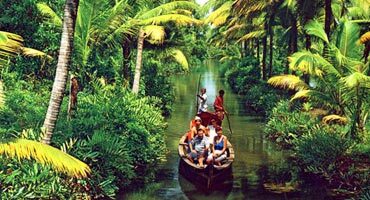 If the numerous beaches, backwaters and Ayurveda in Kerala don't get you, the exotic culture and cuisine will! 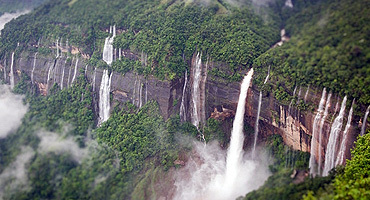 The capital of Meghalaya is also one of the most picturesque and modern hill towns set along the Northeastern Himalayas. Vintage / Overhauled cars and waterfalls are a rage here. An engaging hill town with colonial charm and a relatively developed capital city – all rolled into one. 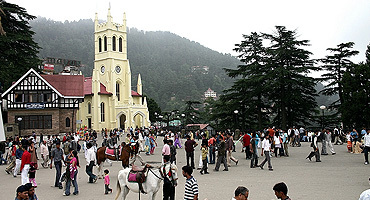 Shimla is to hill stations what Shakespeare is to literature – indispensible! The original "Paradise on Earth" is a summer delight – cool locales, romantic Shikara on the picturesque Dal, blooming Shalimar Gardens are all views to cherish. 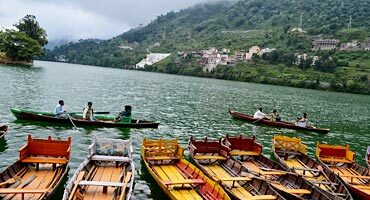 What was once the favorite summer retreat of the British is still a hot favorite among summer destinations in India. 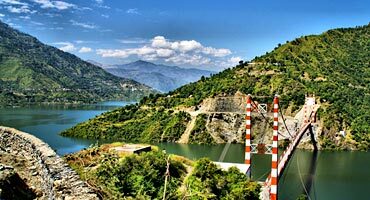 The ideal weekend getaway from Delhi and around. 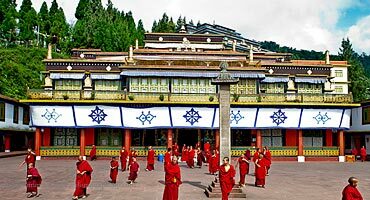 The proverbial jewel in the crown of the North East India, Gangtok is the perfect potpourri of several ethnicities and their cultures, together bound in harmony! 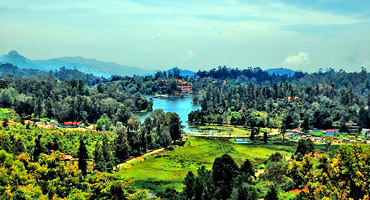 One of the most beautiful places on Earth, Munnar is a true paradise. 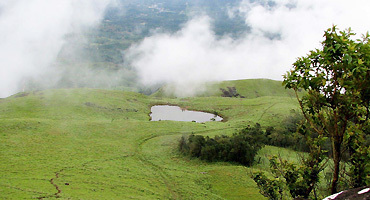 Refreshen your spirits in the scenic hill station blessed with beauty, adventure and cherished experiences. White water rafting at grade 5 rapids? Or some soul curry in a Spa, Ayurveda and Yoga Ashram Himalayas? Maybe both! Choose whichever, you're still coming to Rishikesh! 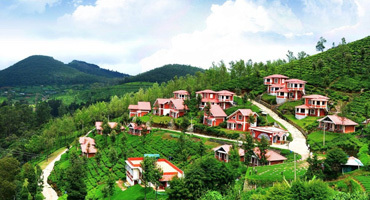 Ooty offers the best respite from a somewhat harsh sun in South India. Also popular with religious devotees owing to the large number of temples present here. 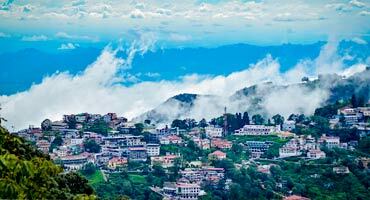 Scenic bliss of mountains, charming colonial sights, plethora of adventure pursuits and more, Mussoorie is the epitome of all the fun you could have in summer. 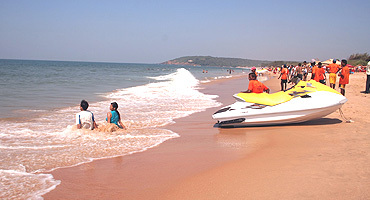 The tiny emerald Goa, the most popular beach destination in South East Asia just got even hotter! Goa's balmy beaches dole out fun in crazy measures. Evident colonial hangover! 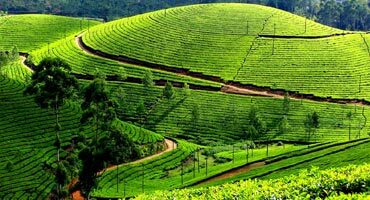 One third of the popular Ooty-Mysore-Wayanad circuit, Wayanad's imperious waterfalls and lush green cover strengthen its image as a popular summer destination. 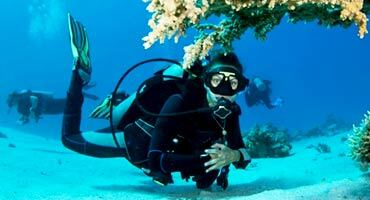 The land of tropical bliss, Andaman Islands is a relaxing retreat for summer. The golden shores, cerulean waters and emerald forest present experiences of a lifetime. 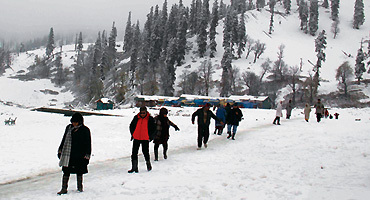 India's own representation of a ski resort best in Asia, Gulmarg is a regular feature in Bollywood movies, thanks to its aesthetics, almost unreal landscape that pulls everyone. 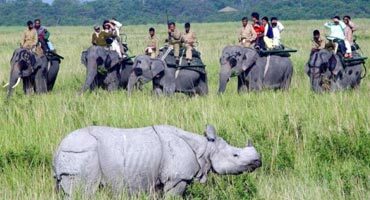 The home of the great Brahmaputra and 30+ tribes that caps India's Northeastern borders – no other Indian region is as naturally blessed and verdant as the seven north east states. If wildlife is what spools your adrenaline, no other place will give you a greater rush. Watch wild rhinoceros in action in the middle of exotic flora and fauna. Kodaikanal or just Kodai, if you please, strikes that perfect climatic equilibrium – not cold but cool enough, and not hot but warm enough. Ideal for 2 day trips. 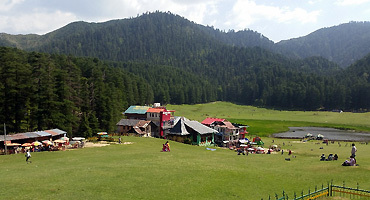 This quaint little town in upper Himachal Pradesh was the favorite summer retreat of the British. The place still retains its colonial hangover and is a great host. 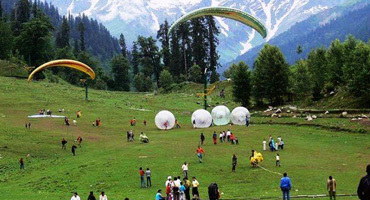 Basking in its green glory, Auli in summer presents views of snowcapped mountains, serene beauty and most of all, a relaxing getaway in the mountains. 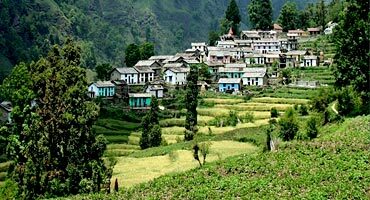 Ranikhet majorly is a cantonment area surrounded by the humbling Himalayas on all sides. 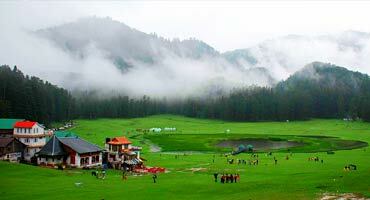 Comparatively more secluded than other 'touristy' hill stations. Made famous by the great Ruskin Bond, the 1318 sq. km. 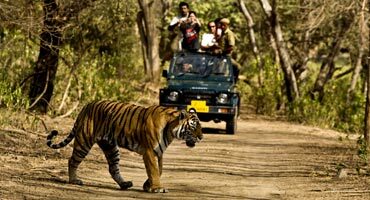 national park is the one of finest examples of wildlife in India. Your best chance to spot the wild cat! 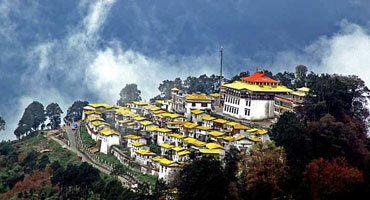 This quaint little town in Arunachal Pradesh is devoid of fancy attractions you'd find in other popular hill stations. Ideal for the idle vacationer to chill! 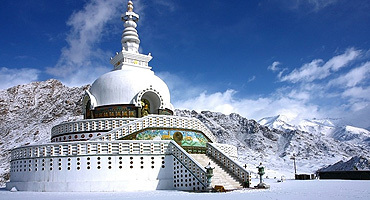 Overlooking the magnificent Dhauladhar Mountains, Dharamshala enamors with charming monasteries, scenic trails and more. Ready for your summer expedition? Singapore is all about summer vibe, culture and shimmering skyline. While the day passes by rejoicing the greenery and shopping, the night comes in with food tours, star gazing, and safari. 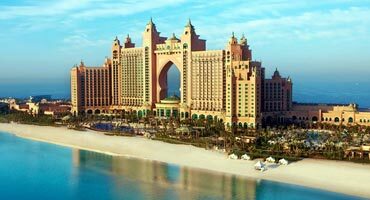 Discover the charms of the megapolis of Dubai. Have a fun family vacation, romantic getaway with partner while you bask in the delights of the world’s most happening city. On some days Malaysia amazes travelers with its cityscapes, refreshing beaches, thrilling wildlife and stretched islands. On other days, it adds a twist of traditions, culture and lip-smacking cuisine.